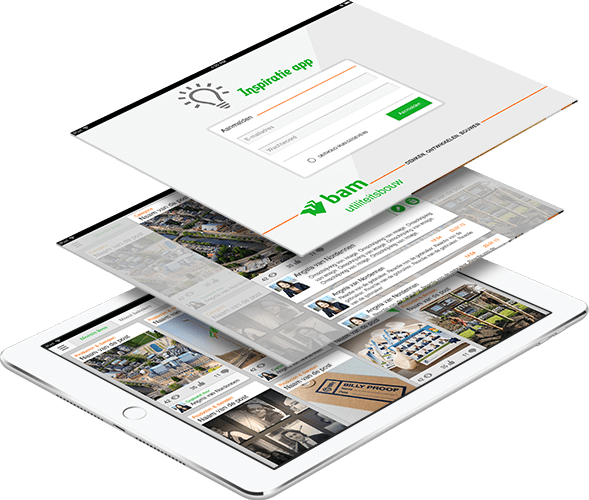 DTT has developed a native iPad app and a web application for BAM Utiliteitsbouw inspired by the widely used Pinterest system. 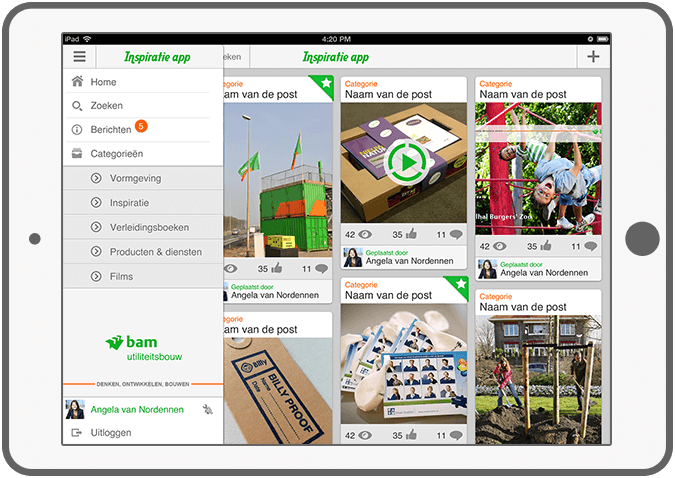 With this solution BAM Utiliteitsbouw employees can check commercial information in a simple, visual and dynamic way. 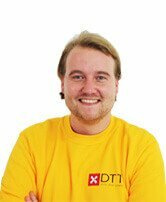 Everybody in the company can share valuable and creative thoughts about projects, business gifts ideas, suggestions on innovations and sustainability and other important issues. BAM solution has an intuitive and user-friendly interface, and serves as a source of inspiration for employees. In this way they become engaged in the corporate life at the office, on the road, or at home on the couch. 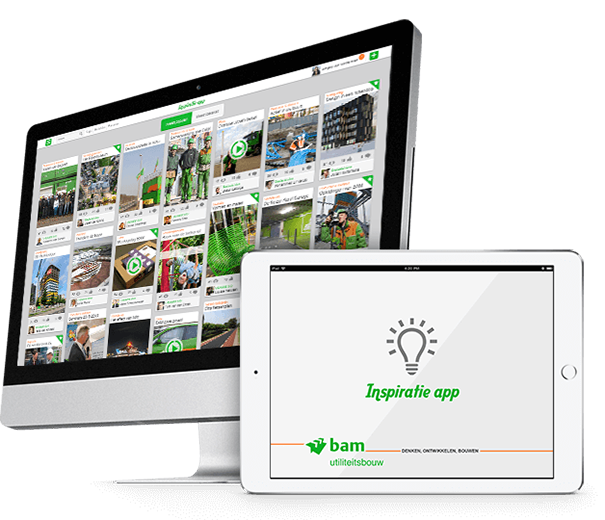 Visit their website to know more about BAM. 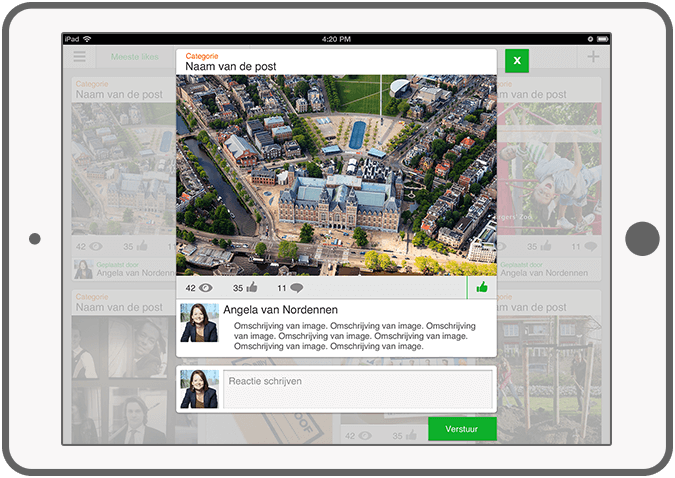 Upload photos and videos in an easy way. Comment and like the posts. 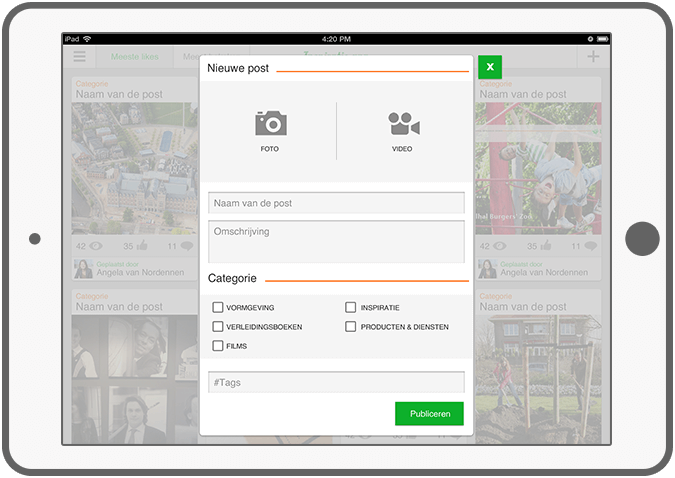 Sort out the posts by few different categories and popularity. Search by tags, messages and people. 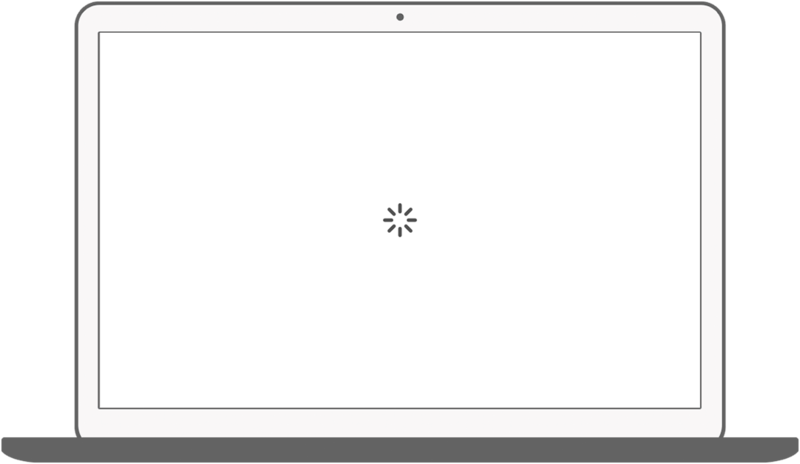 Turn push notifications on and off. 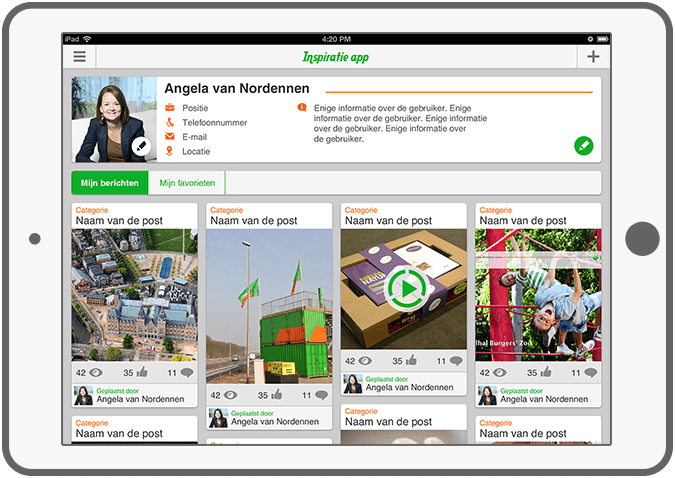 Favorites and published messages are displayed in the profile page.